When buying an older house, the money pit concern nags at us. Are we getting into something that will cost far too much to operate? Are there underlying issues that will continue to cause problems? Are we spending more money on things that should be replaced rather than fixed? 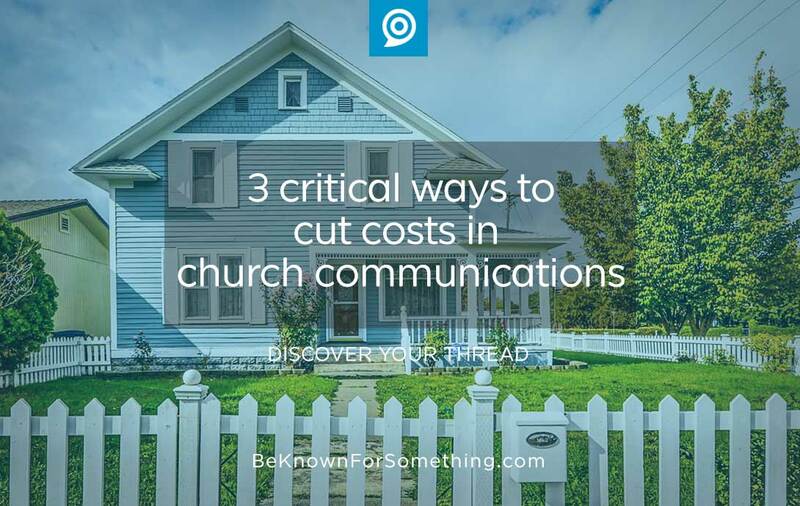 Many churches have an antiquated communication system that they’re trying to operate efficiently, but they’re wasting money trying to accomplish great communications when the entire system needs replacing. Sometimes, it’ll cut costs by rebuilding. Stop throwing money away and finally fix these 3 things. Sure, the initial cost may sting a bit, but the daily costs will be drastically reduced. Become strategic. Churches like to do things the way they’ve always done it before. Church Communications has changed drastically in the last few years and the things you’re attempting to achieve need a different system. Do you even know what you want? Or are you randomly trying to calm the angry voices on staff and in the congregation? Start with setting goals, understanding your audience’s needs and concerns, and become strategic with achieving them or solving them. Often an expert consultant can quickly access the problems and help develop a custom process that will make sense, work within a budget, and keep people happy. Stop trying to do it all. Have a Process. An average church’s communications is a lot to juggle. If you try to communicate everything as it comes to you, you’ll need more people to get it all done. A process will save man-hours and allow you to work with a smaller staff. Ensure you have a well-run global communications calendar, tiered ministries, and communication leadership that’s empowered to prioritize and approve. This is the strategy and process that you need in order to communicate efficiently. “I can’t believe I was trying to do it alone when now it’s so easy” is a typical reaction once a church gets these three things established. Let’s stop throwing resources into a communication money pit!